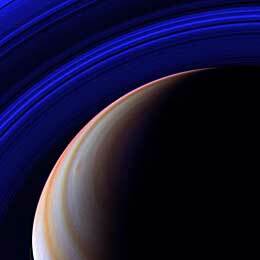 Image of Saturn taken by the space probe Cassini, launched by NASA in 1997. 400 years ago Galileo took the dark stains on the surface of the moon to be seas. He was wrong. Today, we are sending missions to the moon in search of water. These technological advances have been extraordinary: in the past 20 years 350 planets have been discovered outside of our solar system and several months ago the first images of them reached us via satellite. Yet, the universe remains largely unknown. Extraterrestrial life: surprises in store?